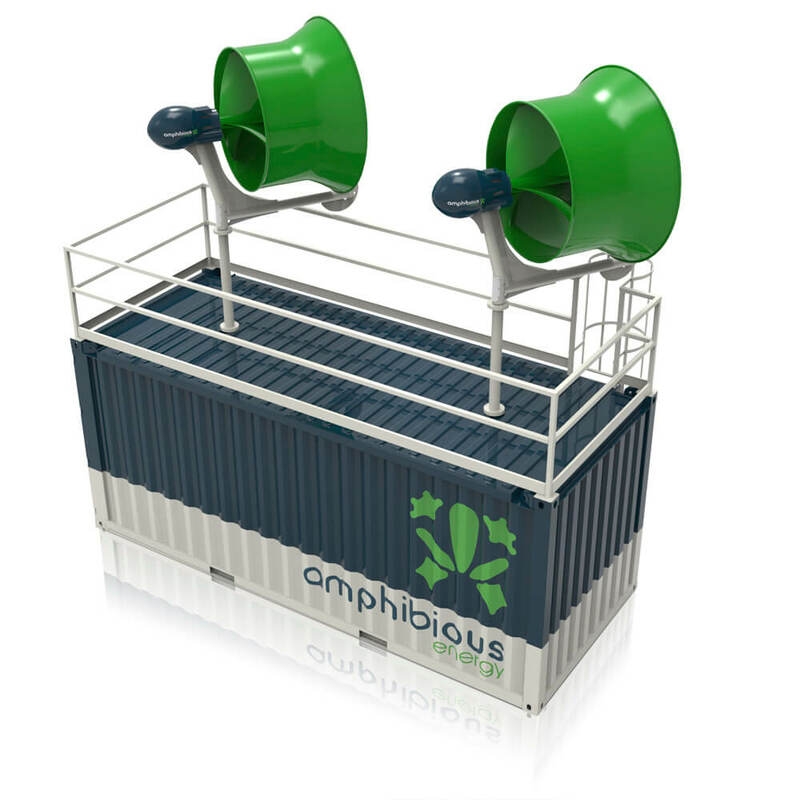 In addition to the standard EnergyPod with a single wind turbine, Amphibious Energy can also design and deliver larger and more advanced models if the required power or energy storage is higher. This includes an EnergyPod (20 or 40 feet), called the Twin Head EnergyPod, which can fit 2-4 wind turbines and multiple battery packs. The Twin Head EnergyPod will produce 2-4 times more energy than the standard EnergyPod. 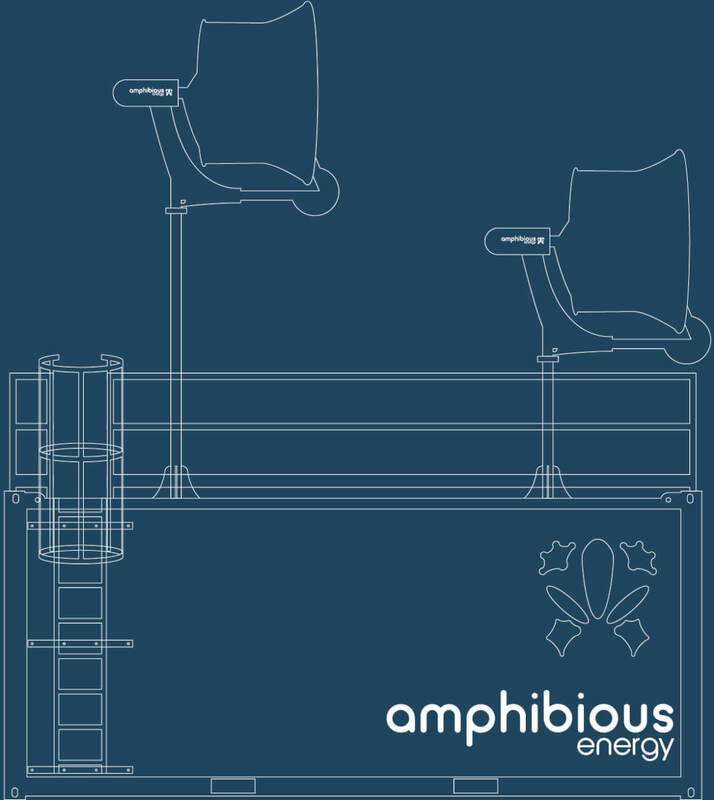 Amphibious Energy has also developed a Hybrid EnergyPod which, in addition to the wind turbine(s), will include solar PV panels for optimal power generation. This hybrid model is ideal for remote, off-grid onshore locations, for example Shale Gas and Oil Sand fields, but can also be used Offshore. 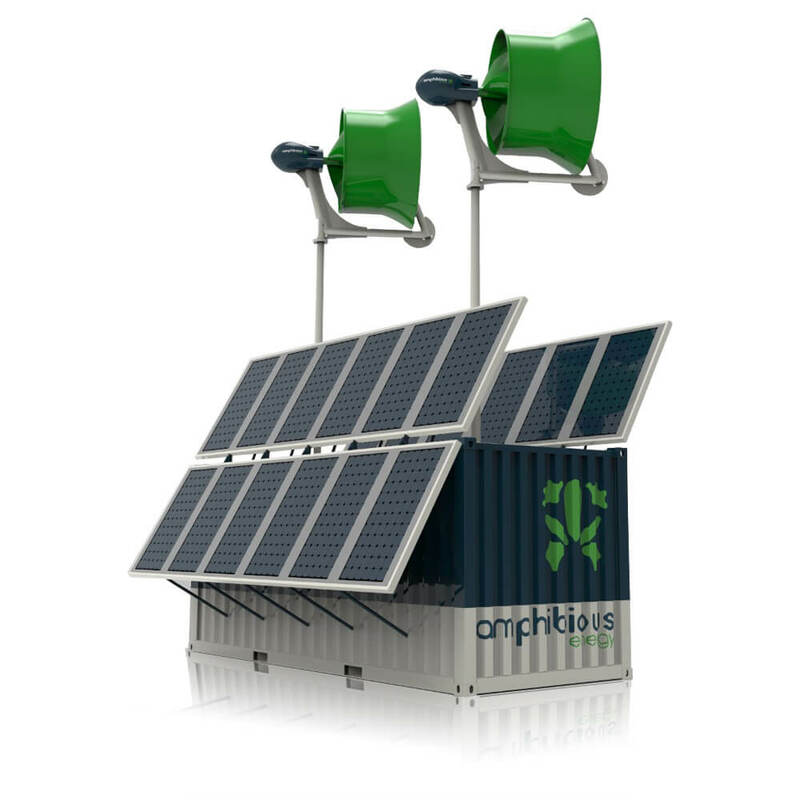 Please visit our Onshore product page for more information on our Hybrid/Onshore EnergyPods. * Additional battery packs can be added if required storage or output is higher. Not included in standard price model. * * For alterantive configurations for the EneryPod, please contact us.